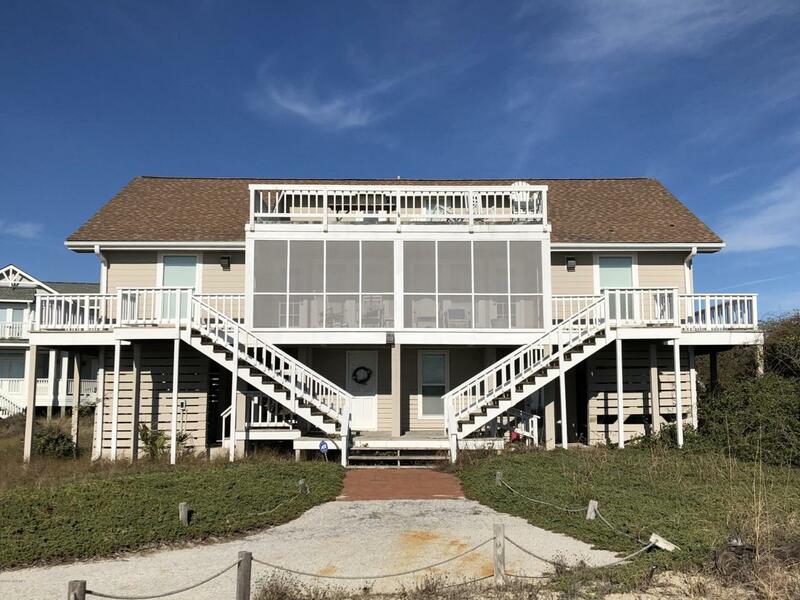 This classic Carolina beach house is oceanfront with tremendous views of the entire beach, all the way down to Frying Pan Shoals. Located just a few steps from the beach access at the end of the driveway. New windows and siding provided protection from the storm. Whimsical colors and decorative touches that resemble a seaside motif. Once owned by a past owner of BHI and, later, a US Congressman. If only this house could talk. Listing provided courtesy of Rick Nelson of Seabreeze Rentals & Sales.